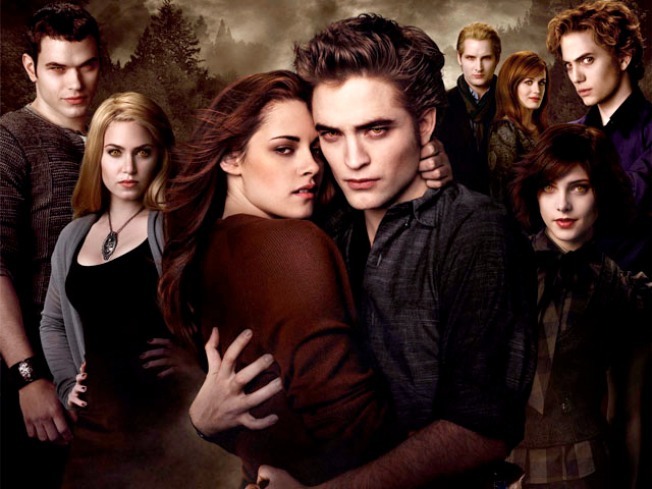 The Twi-hards turned out in record numbers early Friday morning to catch the first showings of "The Twilight Saga: New Moon," outperforming boy wizard "Harry Potter" who previously held the title of midnight box office king. According to box office numbers released by Summit Entertainment, "New Moon" pulled in an astounding estimated gross of $26.27 million, while playing at 3,514 theaters. Fans showed up to theaters across the country in their best Edward, Bella and Jacob costumes. They were also not shy about screaming and hollering with giddy joy at the appearance of a shirtless Taylor Lautner and the first sight of Robert Pattinson on the big screen. "New Moon" surpassed the previous midnight box office champ, "Harry Potter and The Half-Blood Prince," by for than $4 million. Rounding out the top five biggest midnight openers of all-time are "The Dark Knight" with $18.5 million, "Star Wars: Epsiode III – Revenge of the Sith" with $16.9 million and "Transformer: Revenge of the Fallen" with $16 million.